Various physical interfacial phenomena occur during the process of welding and influence the final properties of welded structures. As the features of such interfaces depend on physics that resolve at different spatial scales, a multiscale and multiphysics numerical modeling approach is necessary. 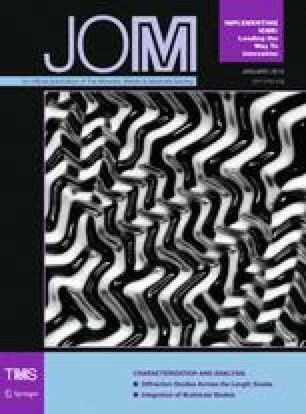 In a collaborative research project Modeling of Interface Evolution in Advanced Welding, a novel strategy of model linking is employed in a multiscale, multiphysics computational framework for fusion welding. We only directly link numerical models that are on neighboring spatial scales instead of trying to link all submodels directly together through all available spatial scales. This strategy ensures that the numerical models assist one another via smooth data transfer, avoiding the huge difficulty raised by forcing models to attempt communication over many spatial scales. Experimental activities contribute to the modeling work by providing valuable input parameters and validation data. Representative examples of the results of modeling, linking and characterization are presented. This research work is supported by the European Commission as part of the FP7 program, as the project, Modeling of Interface Evolution in Advanced Welding, Contract No. NMP3-SL-2009-229108.